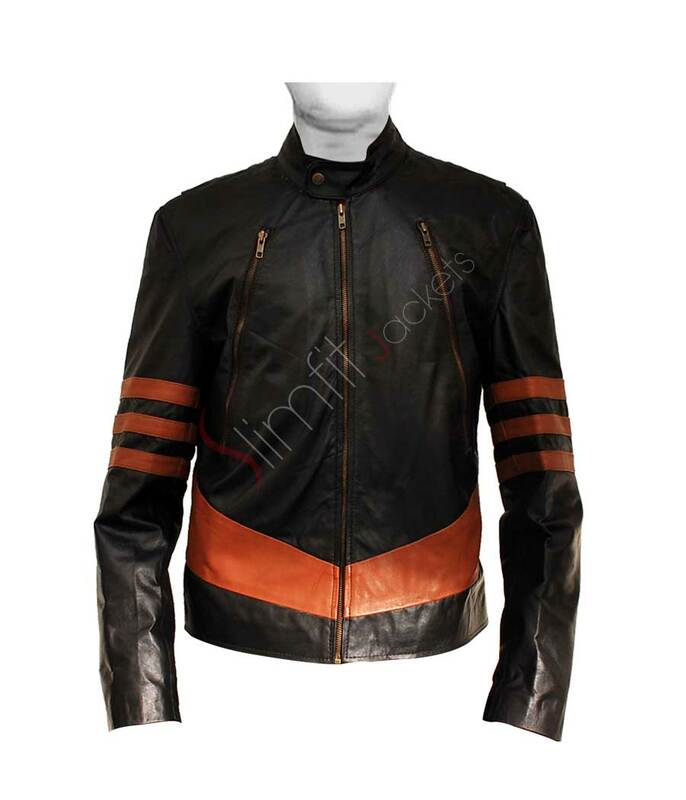 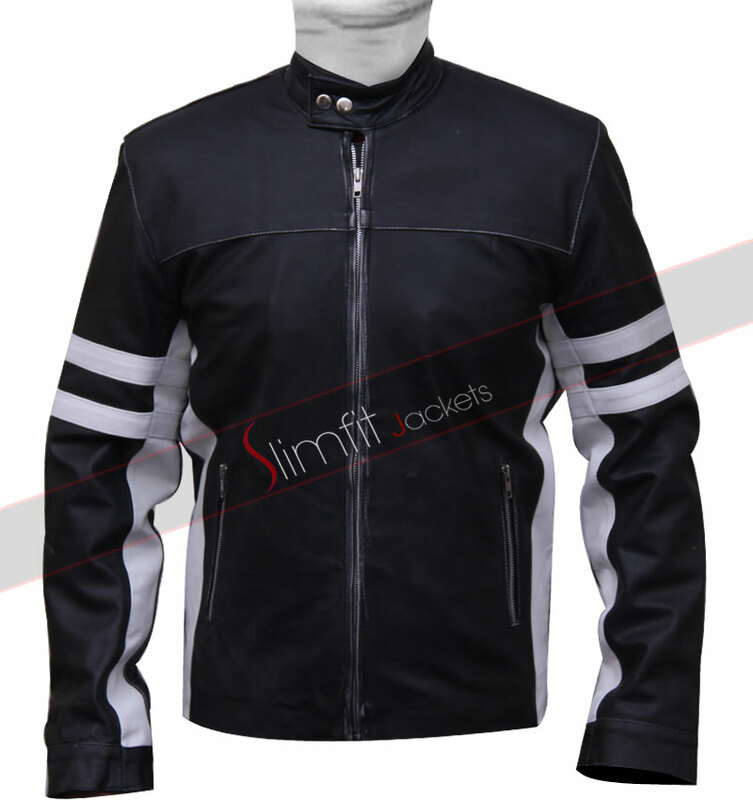 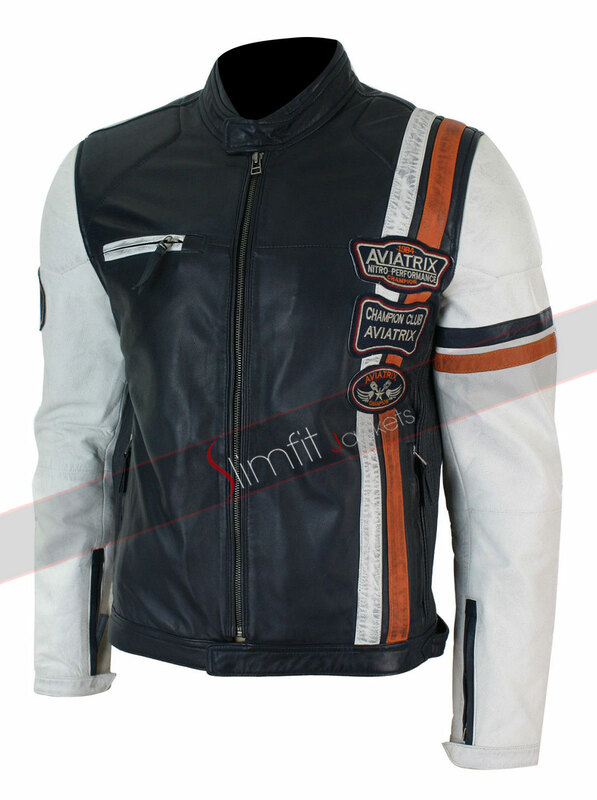 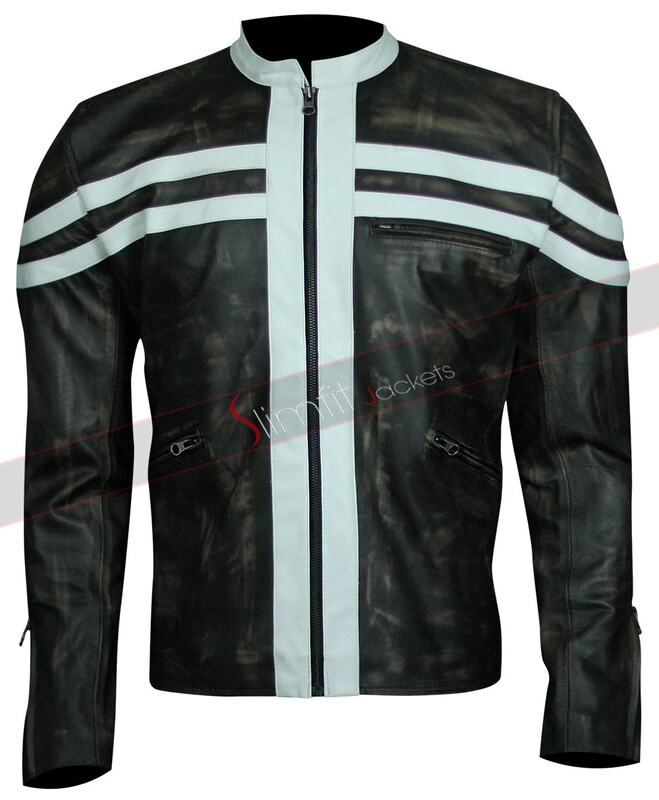 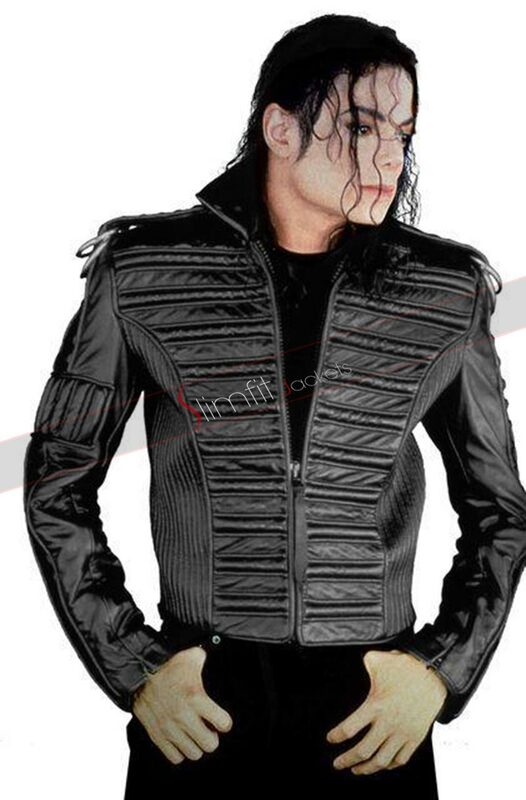 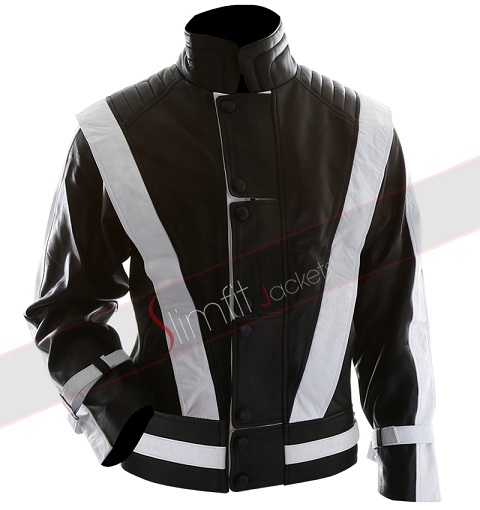 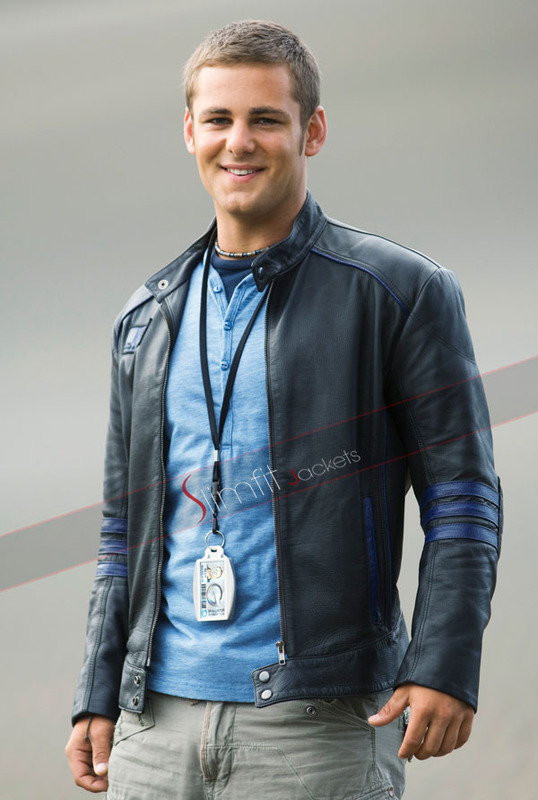 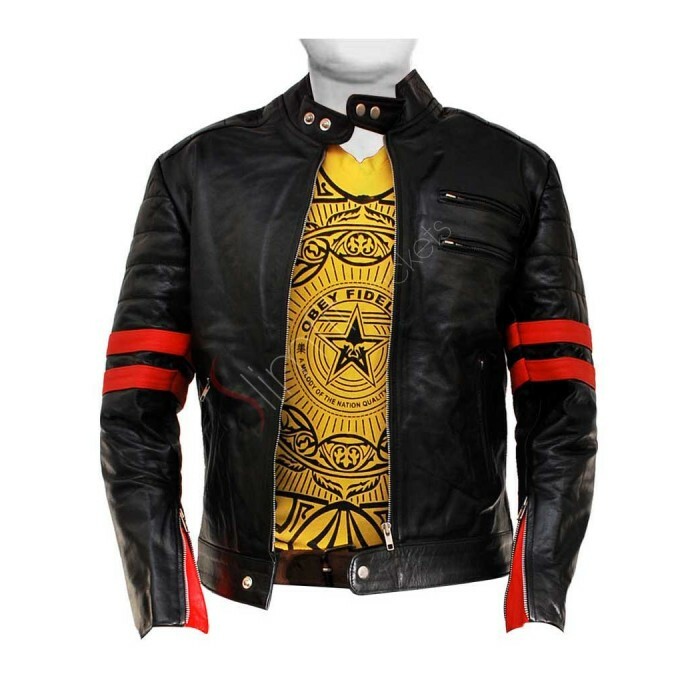 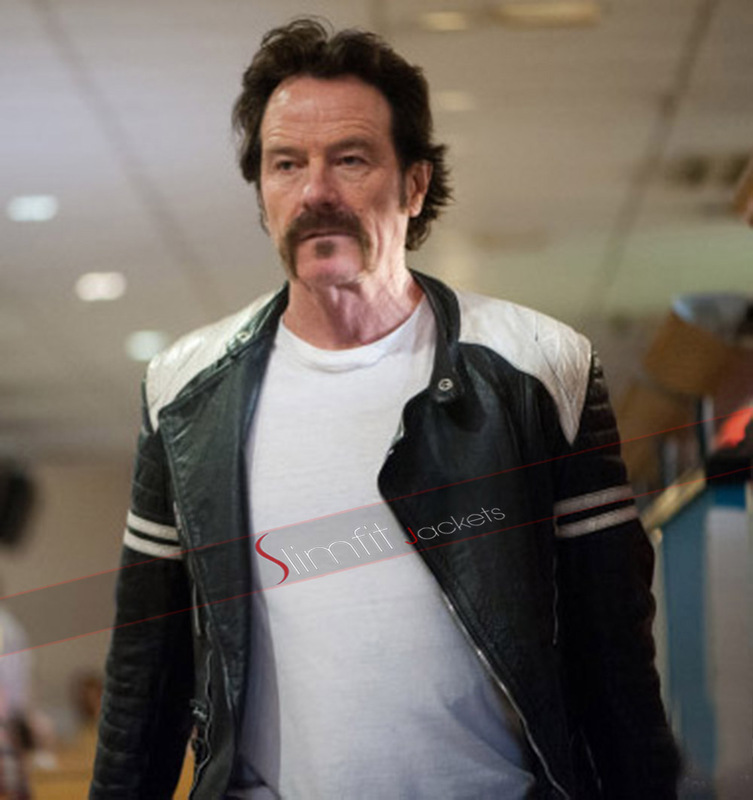 The black leather jacket with yellow stripes is made from the premium quality of leather as worthy attire. 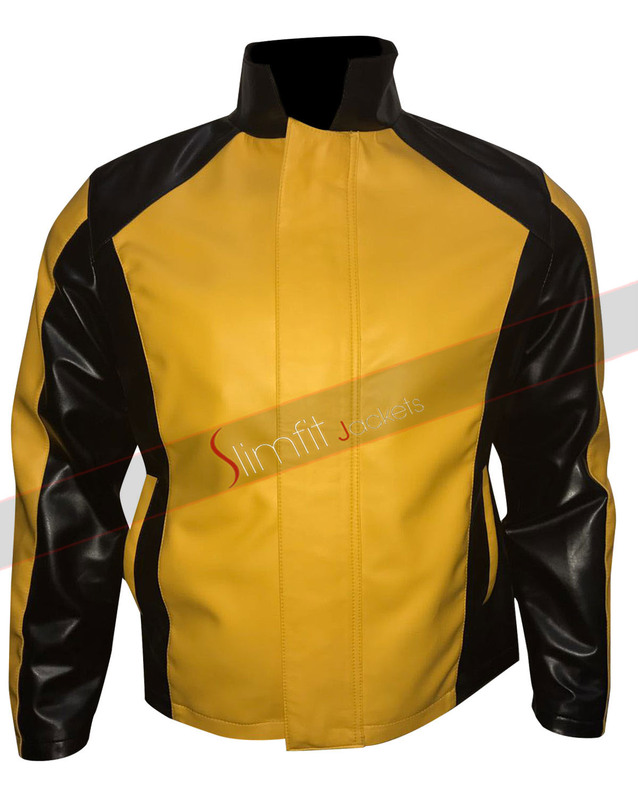 With great contrast of two bright colors jacket define the finishing details and reflective comfort. 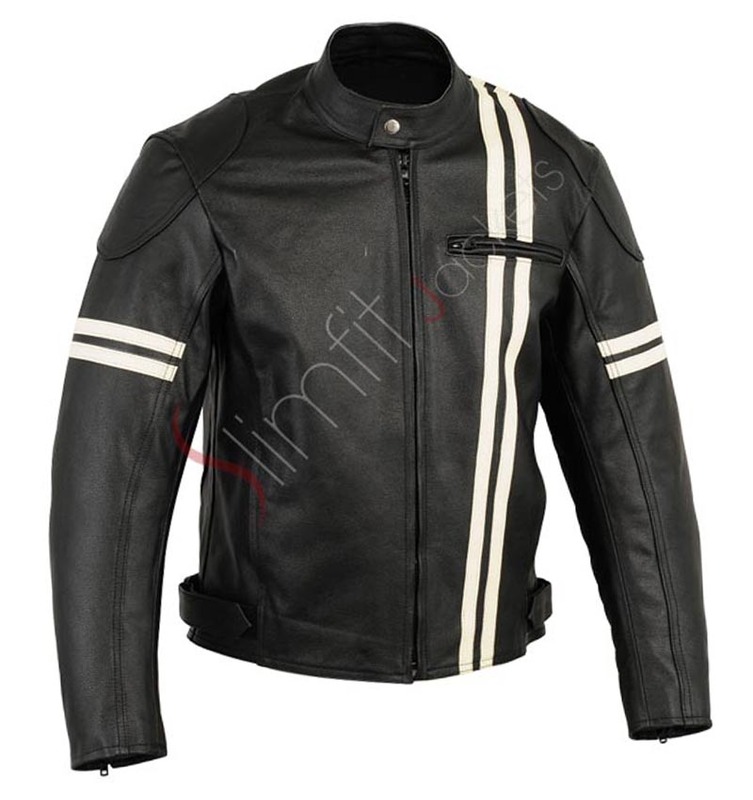 The yellow stripes jacket snap tab button collar and front closure with a zippered in the diagonal shape appear interesting and attractive. 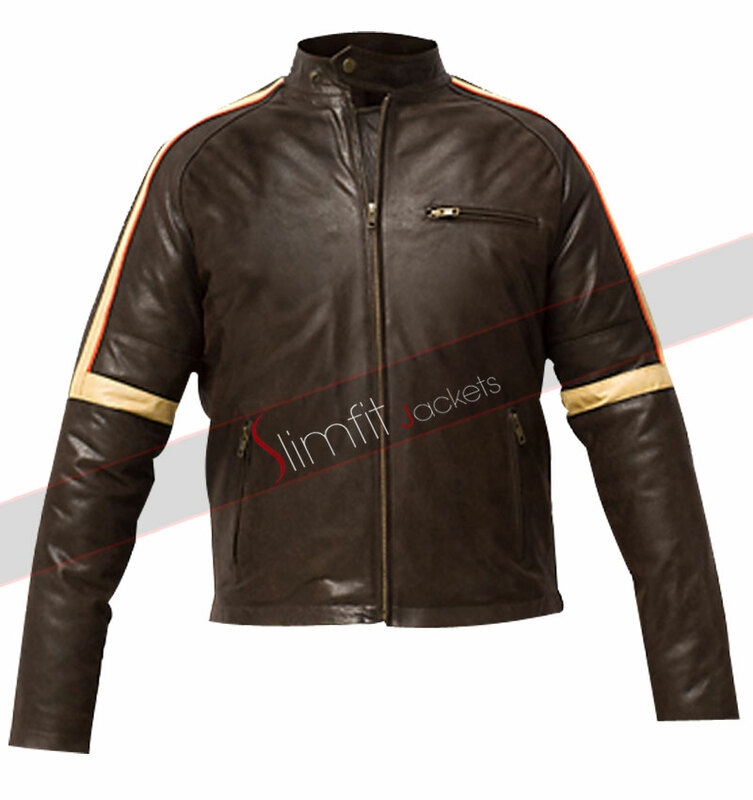 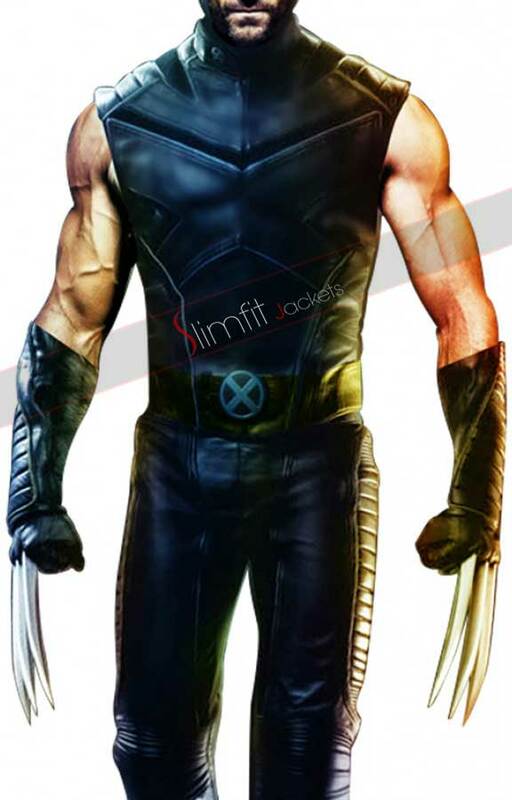 At the front has constructed 4 zippered pockets two on the diagonal shape and the other on the waist line. 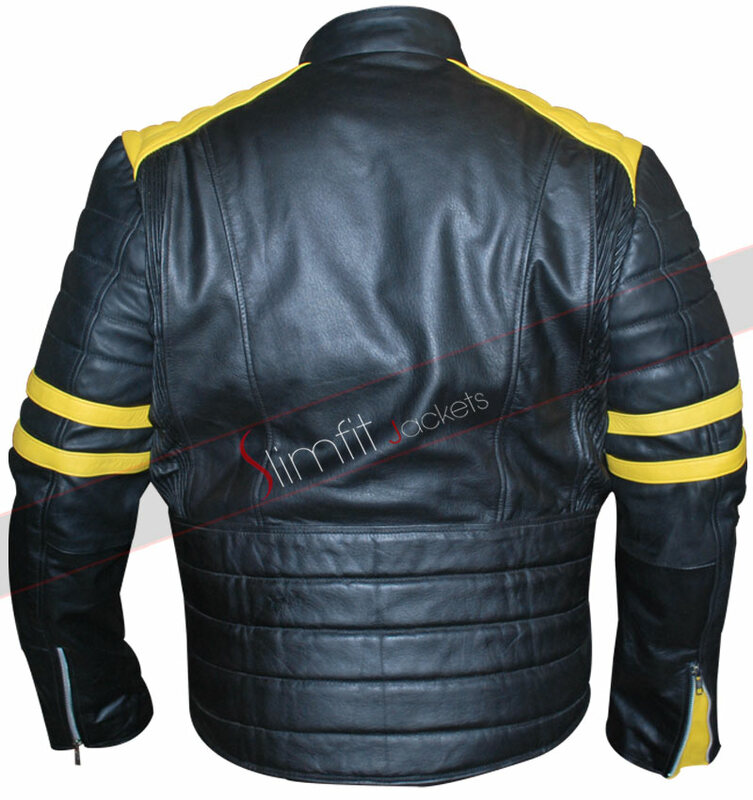 Yellow stripes jacket has two stripes design over the sleeves and shoulders in a shade of yellow visible striking a bust of attitude. 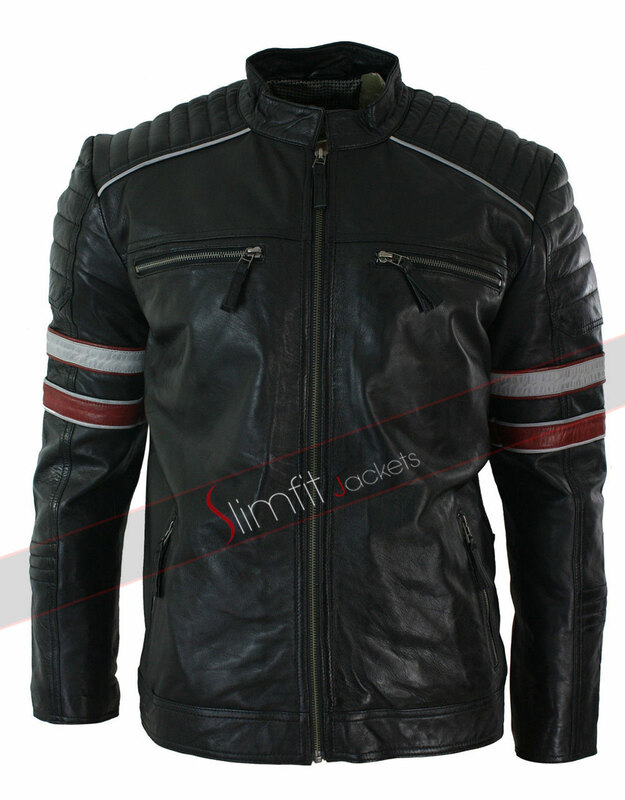 The decorative buckles at the waistline give makeover courtesy more for style presentation. 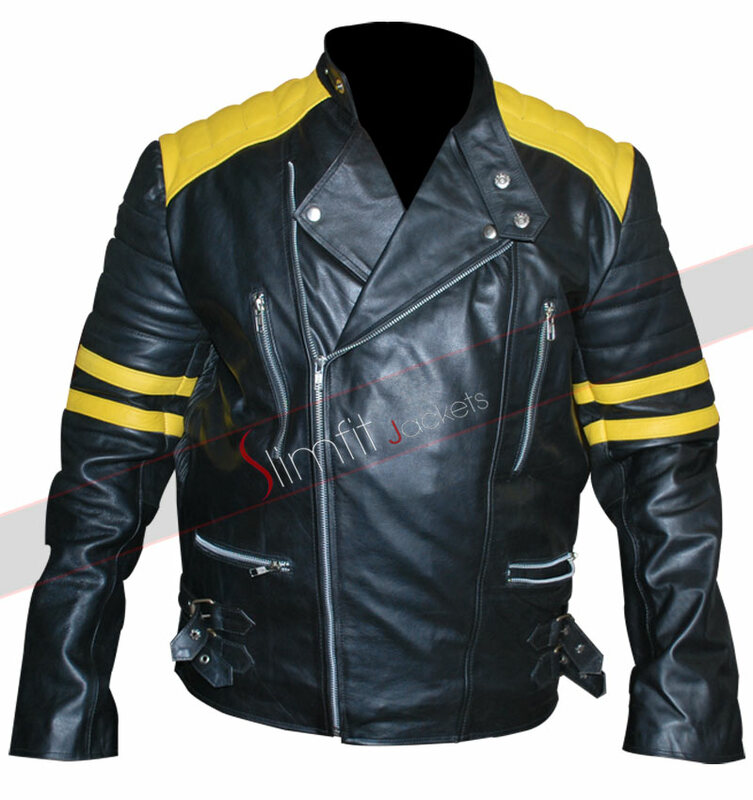 At the back side of this yellow stripes leather jacket has also crafted in straight lined styles with your desired personalized to present strong effects. 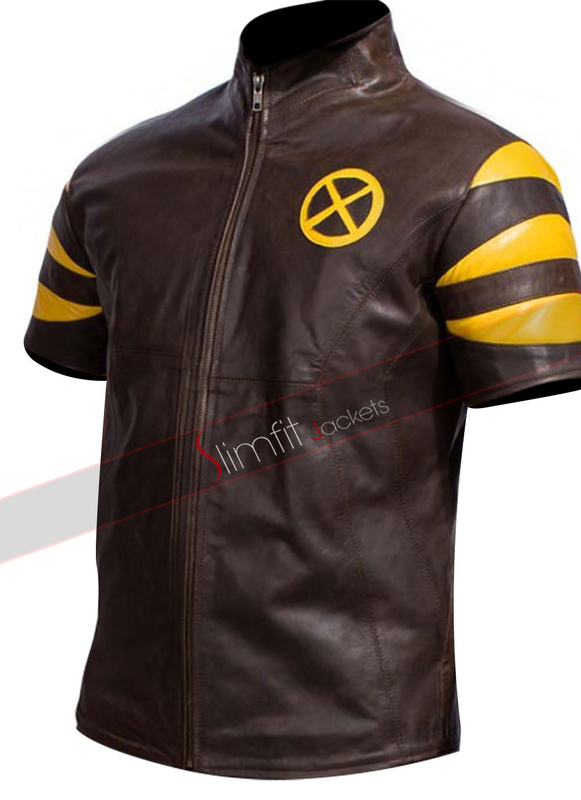 Grabbing this is a fantastic idea for everyone.